The West Valley is another name for the Phoenix metro area in Central Arizona. The suburbs including Chandler, Gilbert, Glendale, Mesa, Peoria, Scottsdale, Surprise and Tempe are some of the most familiar areas within the West Valley. This region is highly traveled and well loved by RVers seeking beautiful scenery and outdoor fun in the Valley of the Sun. Glendale is also home to the Arizona Cardinals’ football stadium. 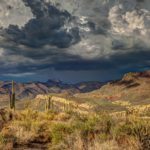 Traveling through this area, you’ll see the White Mountains flank to the west of Phoenix and to the north you’ll find Lake Pleasant as you drive into the high desert. Also, nearby is the Wildlife World Zoo in Litchfield Park. 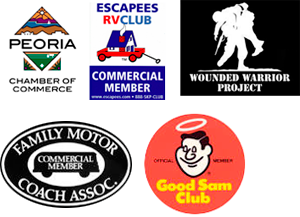 Want to save money on your RV maintenance or RV repair services? Fix My RV is a fast and reliable RV repair service that offers mobile RV repair Phoenix services. We fix repairs efficiently, the first time and offer service maintenance plans for all of our clients to keep the costs of your RV repairs down. We stock most parts or can get them quickly and easily and come to you. Need to replace your RV appliances such as your hot water heater? In an RV, the RV hot water heater is a very important appliance because without it, you’ll be showering in the wilderness with cold water – yikes! No one likes taking a cold shower when they just want to wash the day’s explorations off and enjoy some steam. Fix My RV recommends that AquaHot heating system for RV’s. Aqua Hot is a state of the art RV hot water heater that also can heat your motor-coach during the colder months.